Comet is second to none when it comes to semi-hydraulic diaphragm pumps. Comet is cutting edge, offering the widest range of pumps available worldwide. These pumps are top quality without breaking the bank. 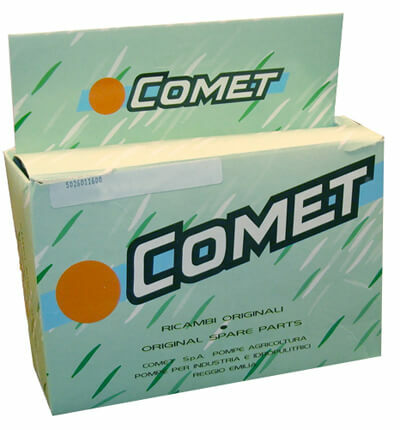 Check our Comet pump shaft protectors and repair kits. 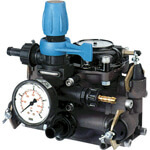 MC Series pumps are perfect for gardening, pest control and agricultural applications. 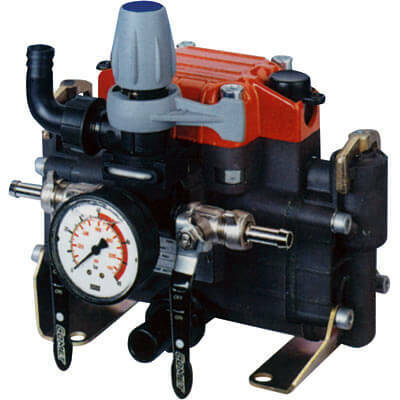 These pumps are designed to be medium pressure, low volume pumps. 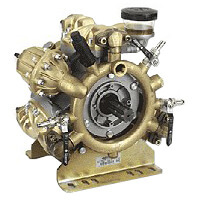 The MC Series pumps are created for gas driven engines and have a 3/4” solid key shaft, and have two (2) semi-hydraulic diaphragms. The MP Series pumps are made for lawn care, pest control and foam insulation. These pumps are constructed of anodized aluminum and have two (2) semi-hydraulic diaphragms, for medium pressure applications. Don’t forget to purchase a shaft protector for your safety. P series pumps are constructed of nylon or polypropylene with 316 stainless steel chack valves and chemical resistant diaphragms. The P36 pumps are designed for a gear reduced gas engine with a 3/4" shaft. The APS Series diaphragm pumps are constructed of anodized aluminum for maximum pressure, while maintaining resistance to most agricultural chemicals. Don’t forget to purchase a shaft protector to connect to your pump for your protection. The IDS Series diaphragm pumps have brass external manifolds, heavy duty ball bearings and sand casted crankcases. These superior models have new valve technology that allows maximum efficiency, which translates to the same flow rate with fewer diaphragms than traditional styles. Cost reduction can be as much as 30% to comparable brands. Don’t forget to purchase a comet shaft protector for your safety. 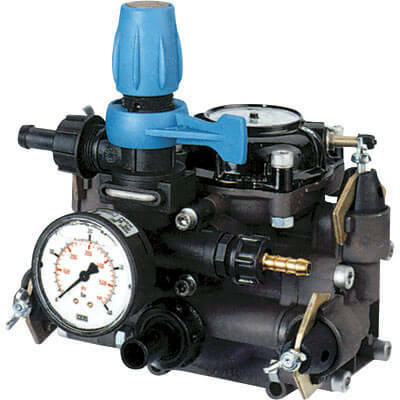 All Comet Diaphragm Pump rebuild kits contain all diaphragms, valves and O-rings that are necessary to rebuild each pump. 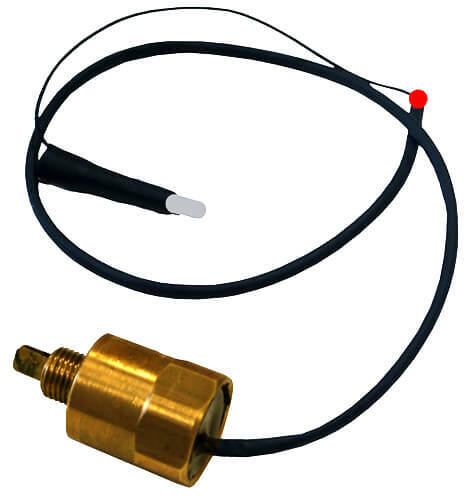 Buna diaphragms and o-rings are used in each kit. If you would like to order a Viton or Desmopan kits please call for pricing. YOUR SAFETY IS VERY IMPORTANT. WE STRONGLY SUGGEST THE USE OF SHAFT PROTECTORS FOR ALL PTO DRIVE AND THRU SHAFT APPLICATIONS. *Please contact us if you would like to order an additional model. Never Buy Another Pump PERIOD! A new technology for diaphragm pumps that warns you of a diaphragm failures BEFORE catastrophic damage occurs by shutting down the engine. 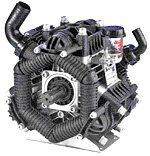 It is designed exclusively for use with Comet pumps with Honda engines. Read more on how to and why should you use a transfer pump. Available in wide variety of sizes from 3/4" to 4" designed for water pumps. You can choose from Type A, B, C, D, E, F, DC, DP aluminum camlock fittings or polypropylene camlock fittings for your trash pumps.